Charleston Business Magazine celebrates another year of honoring the region's most influential people. The selection of the 50 Most Influential is a result of staff research and community nominations of individuals who have made a lasting impact on the Lowcountry this year. 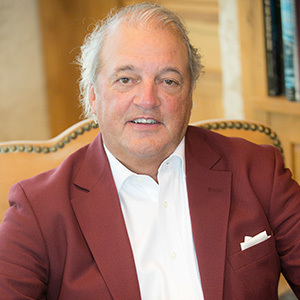 Tommy Baker is the owner and president of Baker Motor Company, an award-winning luxury automotive group based in Charleston. He enjoys giving back to the city and supports many local charitable organizations. He and his wife, Vickie, made a 2017 donation to The Citadel to enhance veteran, cadet and student business education. As a result, The Citadel named its new business school The Tommy & Victoria Baker School of Business. Baker is also one of the founders of the Beacon Community Bank, the first new community bank in the Tri-County area in more than a decade. Michael Balke is president & CEO of Mercedes-Benz Vans, LLC in Ladson. MBV is an assembly plant for Sprinter and Metris vans, and is currently undergoing a major expansion to add a body shop and paint shop where, for the first time in Mercedes-Benz Vans history, the next generation Sprinter will be built part-by-part in the United States. Michael is originally from Germany, and has been with Daimler since 1992. 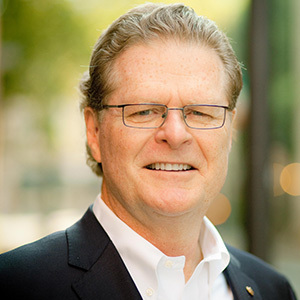 Since relocating to Charleston, Michael has also become involved in the local community, serving on both the Board of the College of Charleston and the South Carolina Automotive Council. Nationally-known trial lawyer Ed Bell has turned around the fortunes of the Charleston School of Law since becoming a co-owner in 2015. With enrollment up significantly over the last two years, he's inspiring the school's students to give back to their communities and actualize the school's motto, pro bono populi (for the good of the people). Bell is chairman of the board of Garden & Gun Magazine, The Litchfield Company, and TMS Global, and earlier this year was inducted into the Inner Circle of Advocates, an invitation-only organization with membership limited to 100 of the best plaintiff trial lawyers in the United States. Patrick Bryant loves startup companies - that moment when you create something innovative that can scale into a large company. Currently, he’s focused daily on Teamphoria, which provides employee reviews, engagement, and recognition software. He also is a partner in Bidr (fundraising event software), Citibot (customer service software for cities), Go To Team (video services), SouthEaston (home technology) & London Cut Cigars (tobacco brand). Bryant feels strongly about making Charleston a better place to be an entrepreneur. He is chairman of the Harbor Entrepreneur Center and the Charleston Chamber. Bryant lives in Isle of Palms with sons Pate and Jack. 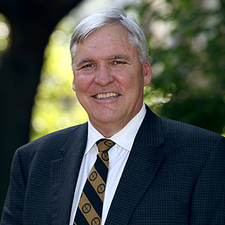 Dr. David Cole has served in numerous leadership roles during his 23 years with MUSC. He has a research background with more than 17 years of continuous funding by the National Institutes of Health. He serves on several community boards, including the SC Chamber of Commerce Board and the Tri-County Cradle-to-Career Board. Cole recently spearheaded the implementation of the Charleston Medical District Greenway Project in partnership with the City of Charleston, Roper St. Francis, and the Ralph H. Johnson VA Medical Center. Cole’s leadership and advocacy of statewide telehealth efforts have broadened health care access options for patients and their families. John Darby leads The Beach Company, a full-service real estate business with brokerage, development, management, and construction services, ranked among Grant Thornton’s South Carolina Top 100 companies for more than 30 years. During Darby’s tenure, the company has seen tremendous diversification, growing to 300 employees, and has also experienced significant expansion of its development platform. He repositioned the company’s focus to Class A multifamily mixed-use development post-recession, demonstrating agility and vision to adjust to the needs of the marketplace. Darby contributed to putting The Beach Company on the map in more than 16 cities across the Southeast region with industrial, multifamily, retail and office projects. 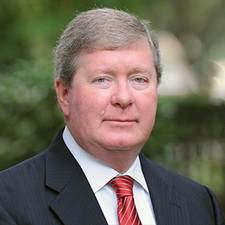 His board involvement includes the Citadel Real Estate Foundation as chair, Trident CEO Council, Citadel Foundation, Palmetto Business Forum, and Advance Realty. Founder of MUSC’s Children’s Hospital in 1987, Charles Darby has been a leader in producing philanthropic funding for pediatric programs through the years. 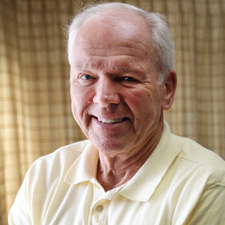 He also founded the Ronald McDonald House in Charleston in 1983. He is now professor emeritus at MUSC. Rev. Joseph Darby, a life member of the NAACP, served as first vice-president of the SC Conference. 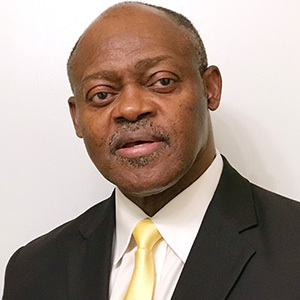 He is first vice-president of the Charleston Branch NAACP, board chairman of the PASTORS Community Development Corporation, and a board member for the Direct Action, Research and Training Center. He was founding co-chair of the Charleston Area Justice Ministry. Darby is featured in the SC Black Hall of Fame, the AT&T African-American History Calendar, and the Richland School District One Hall of Fame. He offered invocations for the Inauguration of Gov. Mark Sanford and for a daily session of the U.S. House of Representatives at the invitation of Congressman James E. Clyburn. The Charleston Metro Chamber is responsible for representing approximately 1,500 businesses and their combined 145,000 employees. Bryan Derreberry has led the Chamber to receive 5-Star Accreditation from the U.S. Chamber of Commerce for the third consecutive time this year, accomplished by less than 0.2 percent of 7,000 chambers nationally. The Charleston Metro Chamber was also chosen as a top three national metro chamber by the Association of Chamber of Commerce Executives. Derreberry is inspired by the incredible members and volunteers he collaborates with in working to assure the region’s collective prosperity and betterment of its individual citizens. 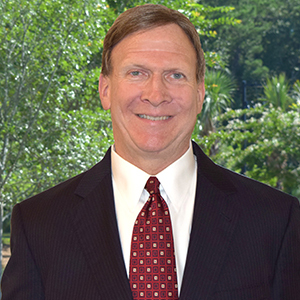 Executive director of Charleston County Economic Development since 1993, Steve Dykes leads a 10-person department dedicated to recruiting new business and the care and feeding of existing industry. Dykes helped leverage a historic year of 20 public announcements (as of Nov. 2017) accounting for $122 million in capital investment and more than 1,200 new jobs from a diverse set of companies including NCGS, BoomTown, T-Mobile, Isringhausen, AGRU, and Coast Brewing. A member of numerous national, regional, and local economic development associations, Dykes recently participated as an outreach partner in Plan West Ashley. 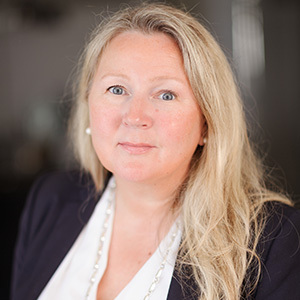 Katarina Fjording is a senior Volvo Car executive and an automotive veteran with more than 28 years of global industrial operations experience from Europe, Asia, and America. Currently, she is responsible for establishing an industrial footprint in the Americas and to build Volvo Car’s first U.S. production facility. Fjording serves on the boards of the American Red Cross and Cradle to Career and on the executive committee of the SC Chamber of Commerce. She believes in the work of these organizations and the impact they have on our community. She is proud to be part of an organization that is making history in Charleston. 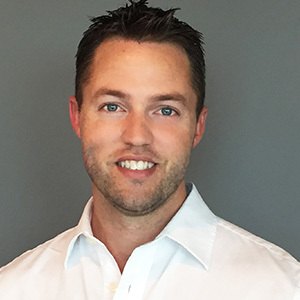 In 2010, Chad Frampton assumed an executive leadership role at Frampton Construction and has since led the company to a record of consistent and significant growth and sales, as well as in overall direction and company development. In 2017, Frampton Construction was honored by SC Biz News with the Roaring 20s award for being the number one fastest growing large company in the state of South Carolina. That same year, Frampton was selected as a Forty Under 40 winner by the Charleston Regional Business Journal, and he was also named Man of the Year by the South Carolina Chapter of the Leukemia & Lymphoma Society. Mike Gianoni is president, CEO, and on the Board of Directors of Blackbaud Inc., the world’s leading cloud software company powering social good. With degrees in both engineering and business, Gianoni has a successful track record of strong operational management of IT businesses that delivers value for customers, shareholders, and employees. A first-generation American with a passion for veterans’ initiatives, animal welfare, and exploring the U.S. coastline either by sailboat or motorcycle, Gianoni is an advocate for corporate cultures that encourage employees to thrive professionally and personally while accomplishing strong top-line growth. 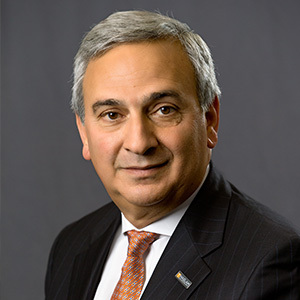 He currently serves on the board of directors for University of New Haven and Teradata. As head of CRDA, David Ginn leads the regional organization that promotes economic development. 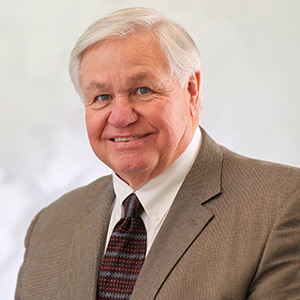 Through his career, Ginn has served on several national economic development boards, and has been honored as one of the nation’s top economic developers by site selection consultants. He has been involved in many of the region’s recent industrial recruiting successes, including bringing Boeing to Charleston. 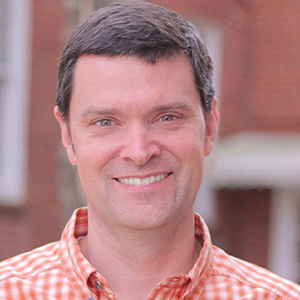 Stanfield Gray is the CEO and founder of DIG SOUTH Tech Conference, DIG SOUTH media, and ETC South. A Liberty Fellow and member of the Aspen Global Leaders Network, Gray serves on the board of the Lowcountry Land Trust. Gray is married to Sunny Gray and has two kids, Stella and Garrison, and is a graduate of the University of South Carolina Honors College and University of Mississippi master's program in Southern Studies. Rev. Charles Heyward is a recently retired pastor of the St. James Presbyterian Church USA (PCUSA), the largest African American Congregation of the PCUSA. He serves as supply pastor of the Edisto PCUSA, and is founder and vice-chair of the St. James Foundation; member of the James Island Interfaith Action Committee; member of the Governing Judicatory, Charleston Atlantic Presbytery; co-president of the Charleston Area Justice Ministry; member of the Mother Emanuel (AME) Empowerment Center Advisory Board; trustee of the Montreat Conference Retreat Center, Montreat, N.C.; an entrepreneur as a licensed certified public accountant; and a women’s health information consultant at www.shecarestoo.net. 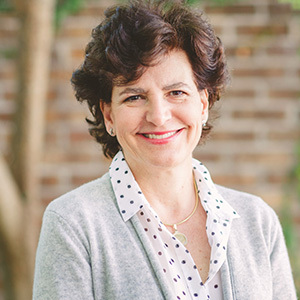 Helen Hill is the CEO of the Charleston Area Convention and Visitors Bureau, which represents 849 member businesses and nine municipal governments in Charleston and Dorchester counties. In this role, she has spent 30 years marketing Charleston as a destination. Hill serves on numerous national boards, including the US Travel Association. Regionally she serves as a board officer for the Charleston County Aviation Authority and Southeastern Wildlife, as well as many statewide tourism organizations. Hill volunteers with Ashley Hall School and her alma mater, Clemson University. 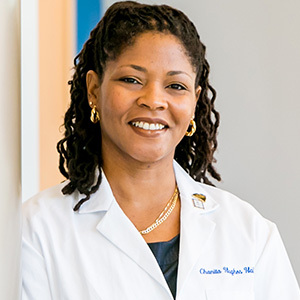 Dr. Chanita Hughes-Halbert is a world leader in health disparities research. Since joining MUSC in 2012, she has implemented numerous cancer prevention and control initiatives for underserved communities. This year, she was the first woman and African-American from South Carolina elected into the National Academy of Medicine. Hughes-Halbert serves on a number of academic and scientific boards including AACR’s Minorities in Cancer Research Council and the National Advisory Council of the National Human Genome Research Institute. In 2012, President Obama appointed Hughes-Halbert to serve on the NCI Board of Scientific Advisors. CSU has become the largest accredited independent university in S.C. under Dr. Jairy Hunter’s leadership. Enrollment has doubled, alumni giving increased by 500 percent, endowment quadrupled, and numerous academic programs and facilities have been added. CSU sponsors 16 NCAA Division I sports. 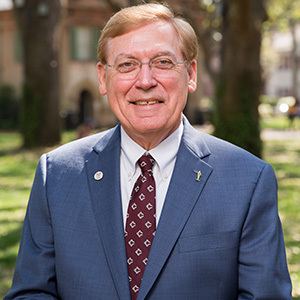 Hunter’s most recent accomplishments include the Order of the Palmetto as well as the National Association of College and University Distinguished Business Officer award. 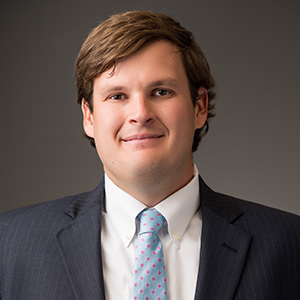 Hunter has served on the boards of the Charleston Symphony, Charleston Chamber, Charleston Regional Development Alliance, and North Charleston Rotary. He also served as a deacon at Summerville Baptist. After 34 years as president, he will become president emeritus in June 2018 and continue teaching. Angela Mack is executive director and chief curator at the Gibbes Museum of Art. Prior to her promotion in 2008, she served as deputy director for curatorial affairs. In 2014, Mack spearheaded a two-year, $17 million renovation to restore the 112-year-old Beaux Arts museum building to its original grandeur. During this time, she laid the groundwork for renewing the Gibbes’ mission and programming by creating public access to art and artists, reinstating the visiting artist program, and implementing more diverse exhibitions. She holds a degree in art history from Vanderbilt University and completed post-graduate work at Tulane University and New York University. Michelle Mapp serves as the CEO of the South Carolina Community Loan Fund, a nonprofit, mission-based lender that has facilitated the development of more than $246 million in community development projects throughout South Carolina. 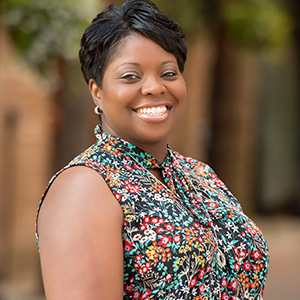 A certified Housing Development Finance Professional, Mapp has been with SCCLF for 11 years and has served in her current capacity for six years. She currently serves on the board of directors for Business Development Corp., Federal Reserve Bank of Richmond, Charlotte Branch, Frances P. Bunnelle Foundation, SC Community Capital Alliance, TogetherSC, and on the SC Rural Action Plan Taskforce. She is a Liberty Fellow and a member of the Aspen Global Leadership Network. In three years since becoming president, Glen McConnell has launched numerous initiatives designed to improve accessibility, affordability, and inclusivity on campus. He’s also overseen the implementation of new academic programs, such as the state’s first undergraduate commercial real estate finance major and supply chain management major. A native of Charleston and a distinguished alumnus of the College, McConnell served more than 30 years in the South Carolina Senate and was the Senate president pro tempore from 2001 to 2012. He later served as lieutenant governor of South Carolina from 2012 to 2014. 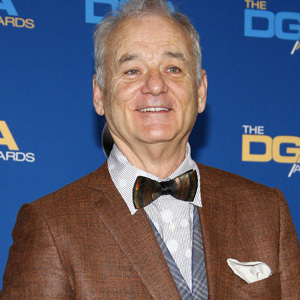 Co-owner of the minor league Charleston RiverDogs, and also co-owner of Harold’s Cabin restaurant, Bill Murray has been a part-time resident for several years. He also has an interest in another restaurant, Rutledge Cab Co. He drew attention in November with a random act of kindness by buying and handing out free tickets to a musical performance at Charleston Music Hall. 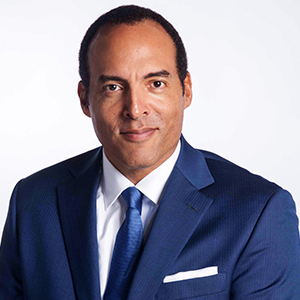 Michael Moore is the President/CEO of the International African American Museum (IAAM). The IAAM will celebrate African American history on the site that was the most important North American entry port for enslaved Africans throughout the Transatlantic Slave Trade. Moore received a BA and an MBA from Syracuse and Duke universities. His career has focused on consumer brand marketing, with leadership experience in both Fortune 500 and entrepreneurial companies. At IAAM in 2017, Moore has focused on fundraising, the visitor experience - in both the architecture and exhibit design, and in building the staff and institution of the museum. 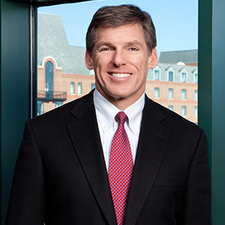 David Morrow is the president and CEO of CresCom Bank and EVP of Carolina Financial Corporation. He was recently appointed to the Clemson University Foundation Board and was recently named chairman elect of the South Carolina Bankers Association. Morrow is a member of the Board of Advisors of the Hollings Cancer Center at MUSC. 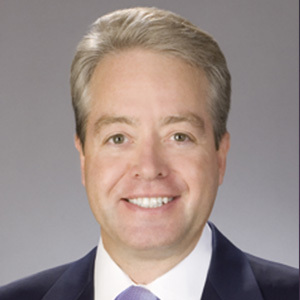 Most recently, he served on the Federal Reserve Community Depository Institutions Advisory Council, as well as the ABA Community Bankers Council. He is a past board member of the Storm Eye Institute at MUSC, the Board of Directors of Leadership South Carolina and the Board of Directors for the South Carolina Museum Foundation. Sam Mylrea brought seven years of high-tech venture capital and investing experience to PureCars. Since graduating from University of Michigan's Ross School of Business, Mylrea has developed an extensive portfolio of achievement and strategic business expansion. When Mylrea joined the PureCars leadership team, he immediately became an integral part of the company’s success. As COO, Mylrea took PureCars from startup to the acquisition by Raycom Media, one of the nation’s largest privately-held media companies in 2015. 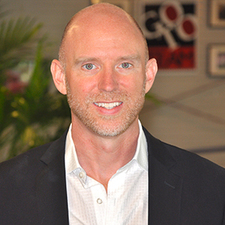 2017 led to a promotion to CEO and the subsequent acquisition of the Miami-based competitor Showroom Logic in October. 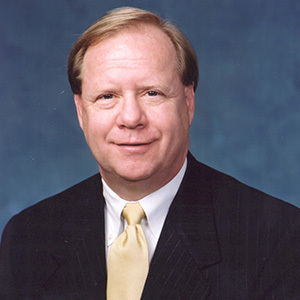 Jim Newsome is the fifth president and CEO of the South Carolina Ports Authority, having joined the port in 2009 after a long career in senior management in container shipping, most recently with Hapag-Lloyd. Under his leadership, the port achieved record container volumes in 2017 and is beginning the construction phase of its harbor deepening in early 2018. 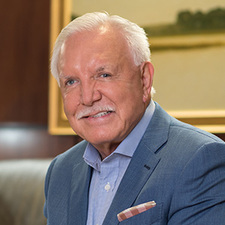 He received the prestigious Connie Award in 2010 for his achievements in container shipping and serves on many boards, including the Business School Dean’s Advisory Board of his alma mater, the University of Tennessee. 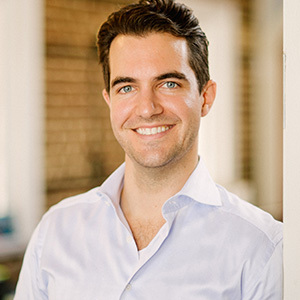 Phil Noble is a business and technology consultant from Charleston and his firm has worked in more than 40 countries. Noble is the founder of three statewide nonprofit initiatives: The Palmetto Project, One Laptop Per Child South Carolina, and World Class Scholars, an online global student exchange program. Noble has also served on advisory boards at Clemson, USC and the College of Charleston, and was a Fellow at the Kennedy School of Government at Harvard. Noble is currently a candidate for Governor of South Carolina. 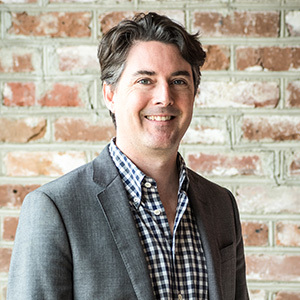 John Osborne, with partner Patrick Bryant, co-founded The Harbor Entrepreneur Center, a nonprofit initiative dedicated to creating collision among entrepreneurs in the region. The Harbor runs a startup business accelerator program with more than $5 million of investments secured by participating companies. Osborne is also the EA of Charleston Angel Partners, a group of more than 50 accredited investors, which has invested in cumulative investments of more than $8 million. In the spring of 2017, Osborne and partners launched Good Growth Capital, a Venture Capital firm headquartered in Charleston, and are raising their $20 million target first fund to accelerate the growth of promising early stage companies. 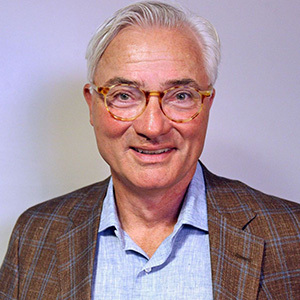 Thompson E. Penney, FAIA, is chairman, president, and CEO of LS3P, a national architecture, interiors, and planning firm founded in Charleston in 1963. 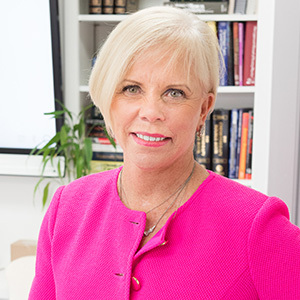 Penney, a Charleston native who joined the firm in 1974, currently serves on the Boards of Directors of CARO (NASDAQ), CresCom Bank, and the SC Aquarium. 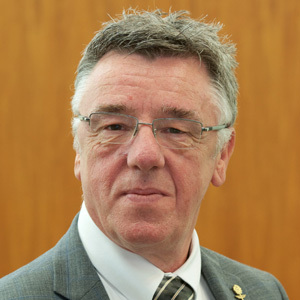 He is also chair-elect of the CRDA, vice chair of the Trident CEO Council, and co-chair of the National AIA-AGC Committee. 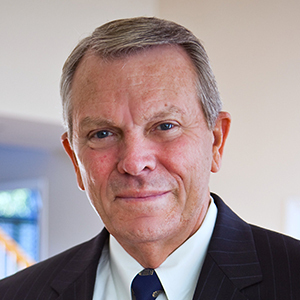 He served as president of the National AIA in 2003. Under Penney’s leadership, LS3P has consistently been recognized as one of the “Top 50 Architecture Firms in the U.S."
Bob Quinn leads SCRA, a public, nonprofit corporation that fosters South Carolina’s innovation economy by assisting entrepreneurs, enabling academic research, and connecting industry to innovators. SCRA’s operations support more than 4,250 South Carolina-based jobs with a total economic impact of $719 million. Over the past year, he spearheaded the sale of the organization’s government affiliate, ATI, realigned SCRA to focus on its core mission, and executed a strategic cooperation agreement with the state’s research universities. His board participation includes Charleston Regional Development Alliance, SC Economics, SC Established Program to Stimulate Competitive Research, and Central SC Development Alliance. General director of Spoleto Festival USA since 1995, Nigel Redden is responsible for all aspects of the Festival—from development and administration to programming, overseeing such landmark productions as 2016’s Gullah-inspired Porgy and Bess. 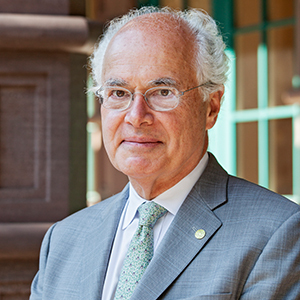 He led Spoleto’s efforts to help renew the Dock Street and Sottile Theatre and Memminger Auditorium, as well as the Festival offices at 14 George St. Redden has also served as director of the Lincoln Center Festival from 1998 to 2017. He is president of the Spaulding-Paolozzi Foundation, a board member of Druid Theatre, and in 2001, was named a Chevalier of the Order of the Arts and Letters by the French Government. Joe Rice has served as lead negotiator in the largest civil actions our courts have seen in the last 20 years. Asbestos, tobacco, BP Deepwater Horizon oil spill, and Volkswagen Diesel Emissions Fraud all included Rice as a lead negotiator. National defense counsel and legal scholars have commended Rice for his work, and he has been described as one of the nation's “five most feared and respected plaintiffs’ lawyers in corporate America” (Corporate Legal Times). Rice litigates federal and state court matters for all firm litigation, including opioid, securities and consumer fraud, medical drugs and devices, occupational disease, anti‐terrorism, and catastrophic injury. 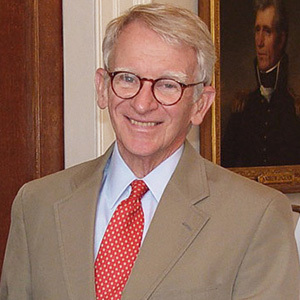 Joe Riley is considered one of the most visionary and effective governmental leaders in America. He served 10 terms as mayor of the City of Charleston from 1975 to 2016. Riley is professor of American Government and Public Policy at The Citadel and executive in residence at the Joseph P. Riley, Jr. Center for Livable Communities at the College of Charleston. 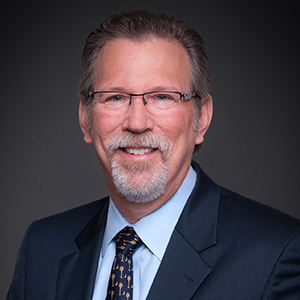 He is a Distinguished Fellow of the Pew Charitable Trusts working on smart solutions for flood-prone communities and the national government, and the first Distinguished Visiting Fellow at the Urban Land Institute. Riley is currently working to build the International African-American Museum, a $75 million project scheduled to break ground in 2018. 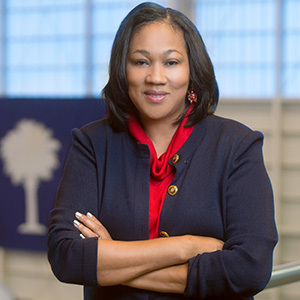 Joan Robinson-Berry began service as vice president and general manager of Boeing South Carolina in June 2016. In this position, she has overall leadership responsibility for Boeing’s facilities in North Charleston. Robinson-Berry has helped empower women and minorities with presentations at the Women of Power Conference and the South Carolina Women’s Caucus Luncheon. She has been instrumental in launching two community action teams – one focused on Hispanic leaders and the other on African American leaders – that focus on business relations, social issues, and civic responsibility. She serves on the boards of Palmetto Business Forum, Cradle to Career, the Medical University of South Carolina, and the Charleston Regional Development Alliance. Dot Scott, a graduate of Charleston Southern and Webster Universities, is president of the Charleston Branch NAACP and owner and property manager of PCAAN Realty, Inc. Scott is a retired BellSouth executive and corporate instructor, and she is a representative of the Charleston’s Criminal Justice Coordinating Council, The Charleston Police Illumination Initiative, and the North Charleston Police/Community Reform Commission. Her awards include the Sister Summit Social Justice Legacy Award, the Lupus Foundation Service Award, the SC National Black Teamsters Community Service Award, and service awards from various sororities and fraternities. She was the first recipient of the National NAACP’s Rupert T. Richardson National Award for Outstanding NAACP Branch President Leadership. 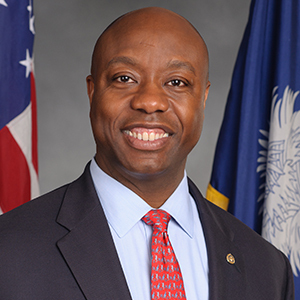 A leader on tax reform, education and job training, United States Senator Tim Scott has served the state of South Carolina in the U.S. Senate since 2013 with the belief that having a job is a good thing, but creating jobs is a great thing. During his time in office, Scott has been an advocate for creating more opportunities for families living paycheck-to-paycheck and helping children in poverty have access to quality education. He launched his Opportunity Agenda, a legislative package aimed at achieving these goals, as well as the Senate Opportunity Coalition, a group of Senators committed to helping those in need. In 1984, Nancy Snowden established NCGS, which is a contract research organization serving as high level consultants to pharmaceutical, device, and diagnostic companies. NCGS has assisted in gaining approval of 59 products to date with no regulatory findings. 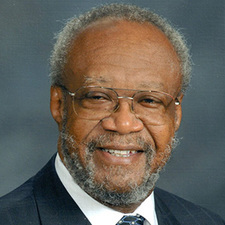 Snowden founded NCGS with the mission of impacting health care for the future, creating jobs, and evolving research professionals in their careers. Snowden is one of three founders of “Women Making a Difference.” She and her family have supported more than 100 charities locally and nationally, many focused primarily on the safety of women and children, including Hollings Oncology Center, American Red Cross, and Darkness to Light. Rev. Bill Stanfield is a founder and the current CEO of the Metanoia Community Development Corp. Metanoia works to discover and grow the quiet strengths of some of the most vulnerable neighborhoods in our region. As a result, the movement incubates solutions for these communities form the inside out. Metanoia invests in neighborhood assets to build leaders, establish quality housing and generate economic development. Stanfield is also an associate minister at St. Matthew Baptist Church and a board member of the Coastal Community Foundation, Origin SC and the South Carolina Association for Community Economic Development. Thomasena Stokes-Marshall served as Mt. Pleasant council mayor pro tem from 2011-2015. 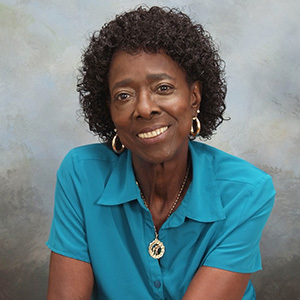 To address the needs of the town's aging population and higher education, she became the driving force in establishing the Senior Service Center and Trident Technical College - Mt. Pleasant Campus. In 2016, Stokes-Marshall formed the African American Settlement Communities Historical Commission to preserve the history, culture, and traditions of the African American communities within Mt. Pleasant and surrounding communities. 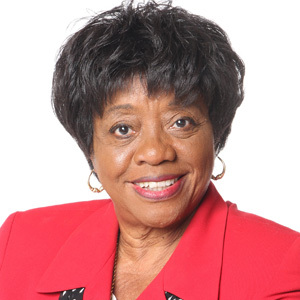 Stokes-Marshall currently serves on the TSM Senior Center Association Board and East Cooper Medical Center’s Women’s Advisory Board, and is involved with Mt. Pleasant Comprehensive Planning Update Committee, Mt. Pleasant Affordable Housing’s Advisory Committee, and Boeing Thought Leaders. 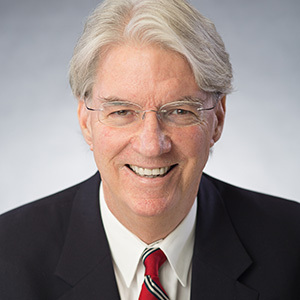 Mayor of the City of North Charleston since 1994, Keith Summey has led the city to become the economic powerhouse of the state of South Carolina and the Lowcountry, while forging an identity for the community as progressive, diverse, and eclectic. A public servant through and through, Summey is widely known as a community census-builder, and has an unconventional style in administering the city, remaining business friendly and thinking outside of the box on projects, infrastructure improvements, and services to increase quality of life for North Charleston’s residents. His ultimate goal: to leave it better than he found it. 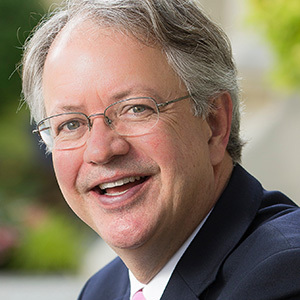 Since becoming mayor, Mayor John Tecklenburg has been committed to improving citizens’ quality of life and making Charleston a city of opportunity for all. Tecklenburg has paid particular attention to flooding and drainage relief, appointing the city’s first-ever director of emergency management and resilience, and beginning the process of implementing the City of Charleston Sea Level Rise Strategy. Tecklenburg has also led initiatives to address housing affordability and traffic congestion in Charleston. In addition, he has championed Plan West Ashley, the largest, most comprehensive renewal and revitalization effort in the city’s history, which will guide the area’s development for years to come. Dr. Mary Thornley has been president of Trident Technical College since 1991. She believes in the transformational power of education and the community college’s role in making communities stronger and more adaptable. 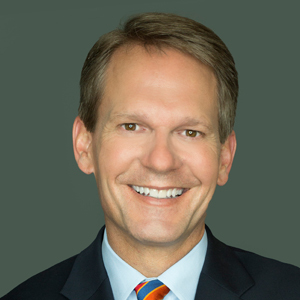 Thornley holds a doctorate from the University of South Carolina, a masters from the University of North Carolina at Chapel Hill, and a B.A. from Mars Hill College in North Carolina. 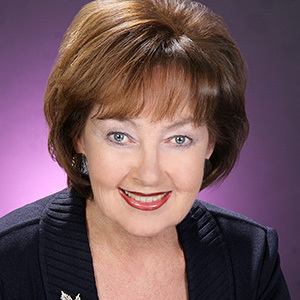 She has received numerous awards, including the Joseph P. Riley Leadership Award, the Southeast Region Chief Executive Officer Award, Trident United Way Women’s Leadership Award, the ThinkTEC Outstanding Leadership in Advancing the Knowledge Based Industry in the Region Award, the Joseph P. Riley, Jr. Vision Award, and the Equity Award from the Association of Community College Trustees. 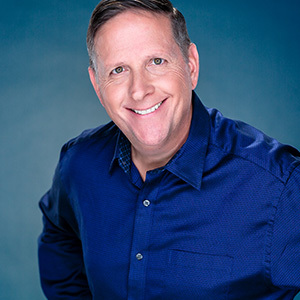 Mike White has more than 24 years of experience in manufacturing and industrial real estate. He recently earned the Fellow In Industrial Real Estate. Throughout 2017, White represented Crosspoint, the location for both Boeing and Mercedes Benz suppliers. White earned a B.S. degree in Engineering from West Point and served as a U.S. Army officer in Military Intelligence for ten years. He was awarded a Meritorious Service Medal for his activities in support of Operation Desert Storm. White served as co-chair of the South Carolina Host Committee for the IAMC Spring Forum, and he and his wife co-chaired the 1909 Society of the Ashley Hall. A long-time aviation executive, Ian Williams became chairman of SC Aerospace’s Executive Board in August. In that role, he will lead the state’s primary organization promoting aerospace. 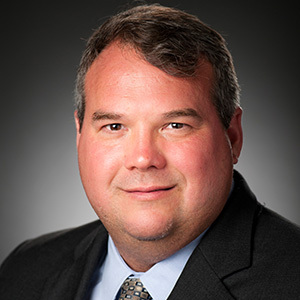 Williams is vice president and general manager of TIGHITCO Aerostructures, a manufacturing firm with a major facility in Ladson. The fast-growing S.C. operation supplies many aerospace companies, including Boeing. A native of the U.K., Williams has held a series of executive positions in the industry. 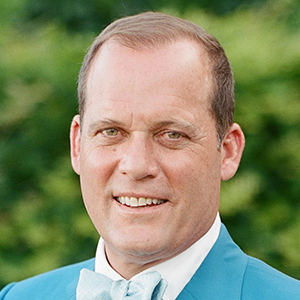 Tom Wilson is an entrepreneur, executive, and leader in the Charleston tech community. His twin passions are using software to create superior solutions and teaching the art of coding. 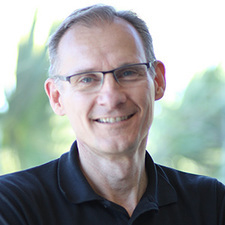 Wilson founded Jack Russell Software (JRS), which was acquired in 2010 by CareKinesis, a Tabula Rasa HealthCare (TRHC) company. 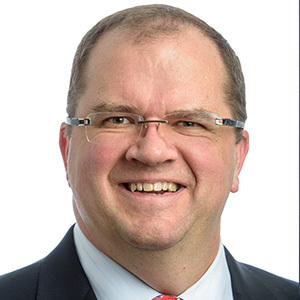 Named vice president of software development, then chief technology innovation officer, Wilson established the JRS Innovation Center, a company unit focusing on research and development, and launched JRS Coding School. A frequent speaker at tech conferences, Wilson was named 2017 Entrepreneur of the Year by The Harbor Entrepreneurial Center. Born and raised in North Charleston, Erica Wright has keen insight concerning those who live in our region who are less fortunate. By working as a bridge between business and community, she strives to achieve her dream of “one Charleston—with equal opportunities and access for all.” Wright collaborates with business and community leaders throughout the Charleston region to build community leaders through professional development, connections, and community engagement. 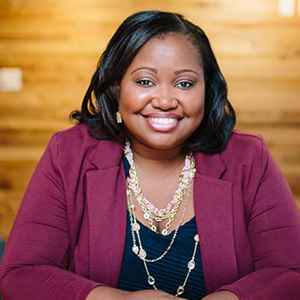 She is a recipient of Charleston Regional Business Journal’s Forty Under 40 award, a Furman University Riley Institute Diversity Fellow, and a graduate of Leadership Charleston. In 2006, Stephen J. Zoukis founded Raven Cliff Co., which redevelops industrial property on the peninsula above the Crosstown, primarily for office use, but also for food and beverage use. In 2017, Zoukis and his firm completed Pacific Box & Crate Company, a 130,000-square-foot space for office, multifamily, and food and beverage areas. The year before, they completed an eight-acre space called Half Mile North that reused old buildings and focused on supporting restaurants and tech offices. 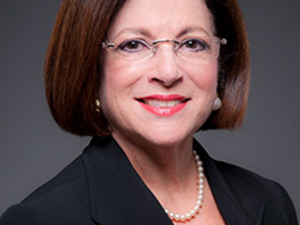 Education advocate and South Carolina philanthropist, Anita Zucker currently serves as chair and CEO of The InterTech Group, Inc, a diversified holding enterprise with operating companies and portfolio investments in multiple sectors including aerospace, industrial and engineered products, financial transaction services, utilities and energy, specialty chemicals, recreation and leisure, medical technology, security, and real estate. 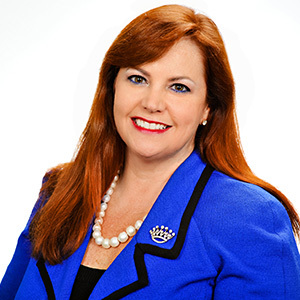 She has served on or led boards throughout South Carolina, including Addlestone Hebrew Academy, MUSC Hollings Cancer Center, Charleston Metro Chamber, Tri-County Cradle-to-Career and Promise Neighborhood. 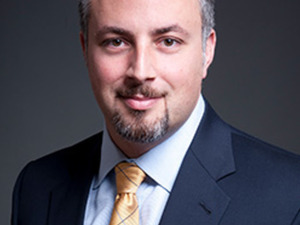 Jonathan Zucker is the president at The InterTech Group, Inc. He recently held the position of director at the Hudson’s Bay Company where he was part of the management team overseeing operations.